As we reported last month, Jim Henson's rag-tag gang of colourful creatures the Muppets were being considered for a new show on ABC. Now, that show has officially been ordered to series. Entertainment Weekly confirmed that the show has been ordered to series by the network. Though it's unclear when it will premiere, reports indicate that the show's pilot presentation received a standing ovation from ABC executives. The new Muppet series is said to have a similar tone to 30 Rock or Arrested Development, and will reportedly follow a mockumentary style. 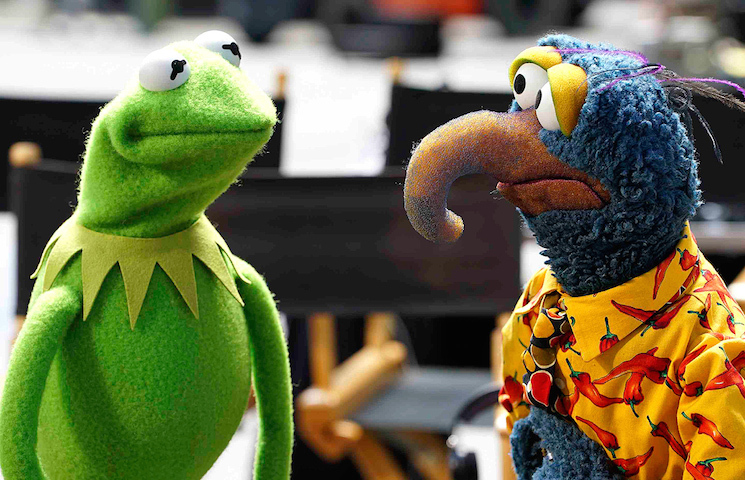 The first image from the new series is available above, and features both Kermit and Gonzo looking a little dejected. We can't wait to find out why. As previously reported, it will be co-written and executive produced by Big Bang Theory co-creator Bill Prady and Anger Management writer-producer Bob Kushell, with Randall Einhorn and Bill Barretta producing. The Muppets' last television series was Muppets Tonight, which ran from 1996 to 1998.